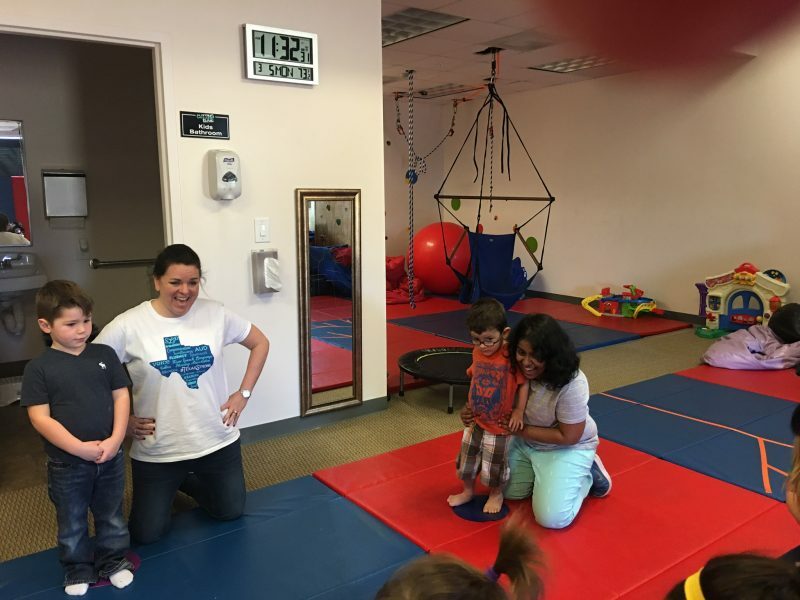 A lot of our clients’ parents are excited when they realize that not only do we do occupational therapy and speech therapy, we also do physical therapy! Lots of times kids are referred to us for physical therapy when they’re having delays in certain milestones like crawling, rolling over, walking, negotiating stairs, etc. When children are delayed in reaching these milestones they can be referred to us for physical therapy to help them manage these activities. We use a variety of approaches for physical therapy and use different types of therapeutic activities to help our clients get to where they need to be. Muscle tone, strengthening, and endurance. If you think about it, those milestones really involve some strength. Crawling, walking and negotiating stairs all take muscle strength. There are many benefits physical therapy can have for your kiddo, but the main benefit is that it will get them back on track to hit those milestones that are so important to childhood growth and development. If you think your child could benefit from physical therapy, please reach out to us. We’d love to give you a tour of the facility and show you how physical therapy can help your child!